Trance fans: Prepare for an emotional and euphoric evening with one of the most praised names in the scene. This Saturday, December 5, Boom Jinx is taking his No Answers In Luck Tour to New York City’s Santo’s Party House. 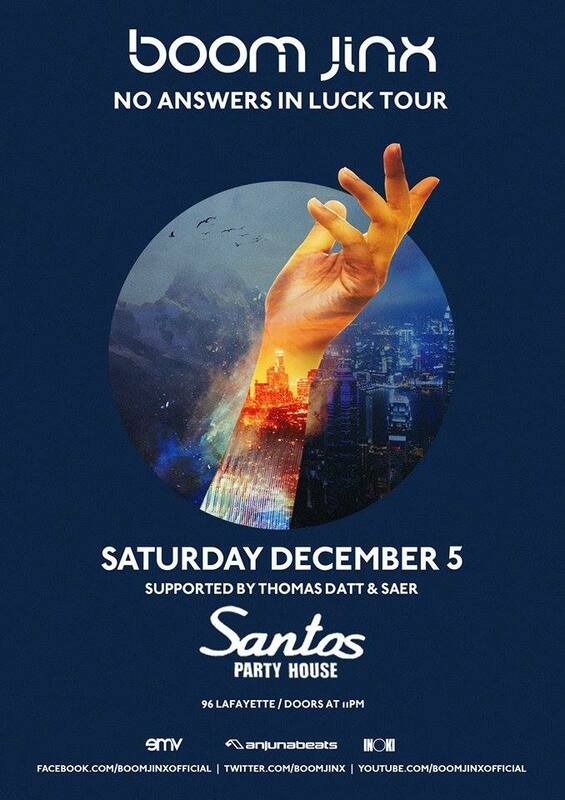 Doors will open at 11 pm at Santo’s with supporting acts Thomas Datt & Saer. In October, the Norwegian DJ/producer released his debut studio album, No Answers In Luck, on Above & Beyond’s iconic Anjunabeats label. Familiar to music enthusiasts for his productions alongside acclaimed vocalists Meredith Call, Justine Suissa, and Aruna, among others, Boom Jinx new 13-track No Answers In Luck album takes listeners on a musical journey from start to finish. Listen to No Answers in Luck on Spotify. *Contest ends Friday, December 4 at 10 pm EST. Tickets for Inoki with Boom Jinx at Santo’s are available HERE.